It took me a long time to learn how to read when I was a kid. As a result, it came as no surprise when my kids struggled with reading too. Thankfully, we choose to homeschool our kids because it’s allowed us the opportunity to find the ideal online reading programs. Each one has helped each of my children become thriving readers. Since I’m the type of person who will go through a wide range of options until I get that perfect match for my kids, I feel confident that this post will help you find the perfect match for your own child(ren). I’ve seen these reading online curriculums mentioned often in many places. They are mentioned for solid reasons too. Reading Eggs is a program that is used by many public schools to help struggling readers ages 2-13. It has a fun playful style of teaching kids. Kids are rewarded with eggs for doing a job well done. They then can cash in the eggs they earn for rewards of various kinds. This program cost $49.95 for six months or $59.00 a year. They also provide apps that can be used on your tablets and mobile devices too. They do offer a free trial too. I have used this program with my daughter and my younger son. Teach Your Monster to Read is by far has got to be my daughter’s favorite program to learn how to read with. She will do this reading program for hours on end without complaining a single bit. The only bad news with this program is they only go up to Kindergarten level reading. I wish it went all the way through to fifth grade. It’s FREE, and I’m grateful for what it does provide. This site has helped her tremendously!! A-Z Raz Kids has many different programs that are designed to help kids from K-5th grade. This has been a site that I used exclusively with my oldest child. He grew in his reading skills by leaps and bounds. There are parts of the program that was monotonous, but it worked for him. His biggest reading struggle was learning the different sounds clearly. You can try it out for free too. Ultimate Phonics is not exactly an online based program, but it is done via your computer. Ultimate Phonics is nice because it takes away all distractions and makes your child focus in on learning the various phonic lessons. The lessons are short and to the point. I used this with my youngest son and it helped him drastically. Yes, there’s a free trial for this one too. 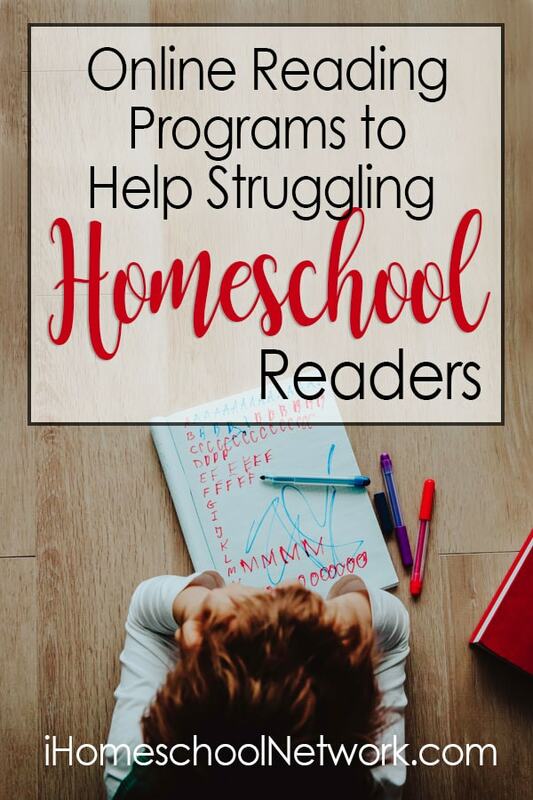 I hope these online reading programs help you in some way with your kids. There are many other programs available for you to try out, but these programs have been by far my favorite. I’ve used MANY other programs through the years only to feel like that time has been wasted. What online reading programs have you been using to help struggling readers? I'm an SC wife and homeschooling mother to three kids and a dog. It is our mission to inspire YOU to make the most of your moments by sharing ours. I LOVE interacting with new people and networking. I look forward to getting to know you more. Feel free to contact me at crystal@sharinglifesmoments.com.